A hilarious online thread unveils what women are saying on dates that makes men bolt for the door. More than 20,000 users responded to the question posed Wednesday on Reddit, "What’s something a girl can say that makes you run the other way?” The insightful answers read like the Internet’s version of "How to Lose a Guy in 10 Days." The one-liners are comical but common -– and that’s the problem, according to relationship expert Rachel DeAlto. 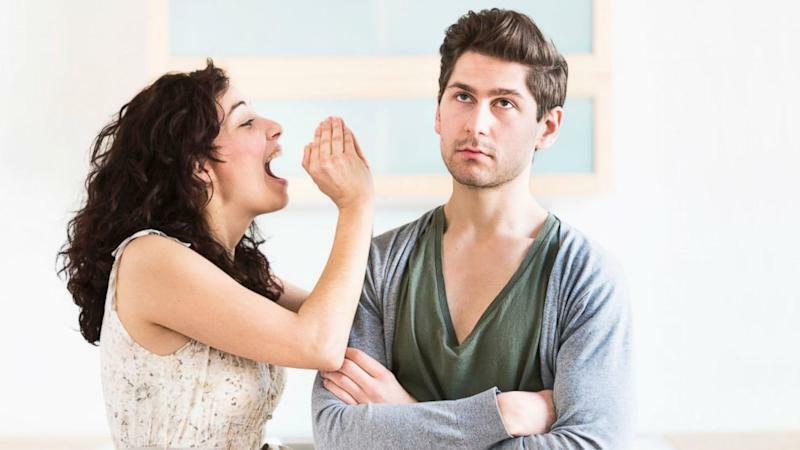 "These are things women say all the time! I personally feel like I’m drama-free, but I’ve never in my life had to tell anyone that,” she said, poking fun at one of the thread’s top faux pas. DeAlto also took issue with women who use this line: "If you can’t handle me at my worst, you don’t deserve me at my best." The thread’s popularity proves more people are turning to the Internet for relationship advice. Eager singles poll friends on social media, get dating tips from newsletters and ask questions like “How do I meet men?” and “Should I break up with my boyfriend?” on Google, DeAlto said. But all the feedback might be too much. "I think it’s a problem," said DeAlto, author of "Flirt Fearlessly." "We’re getting advice from so many different places. You can keep asking until you get the answer you want. People really need to guide themselves and use their own intuition. They can answer their own questions." "Tell me your zodiac sign, I want to see if we would be a good match."